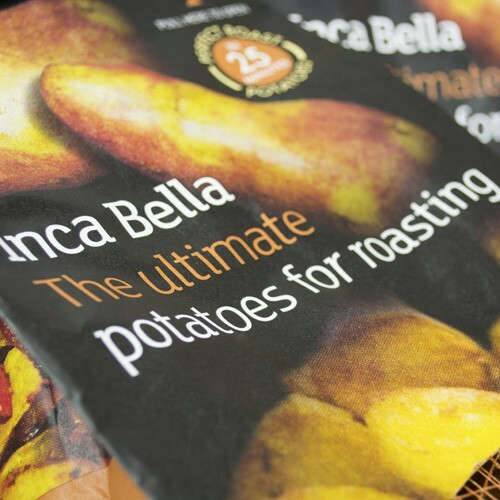 Innovative potato packaging for the wonderful Inca Bella variety. Optima work with clients in the food sector to create the best packaging solutions. As so many choices are made at fixture we work hard to engage an audience and get the product noticed. We work with innovative materials in packaging and create designs that utilise their benefits to the product.